Large 280 piece set that’s ideal for continuous provision in nurseries or schools. 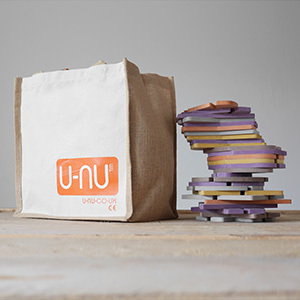 U-nu is made from a special engineered coloured wood. It is moisture and UV resistant and is non-toxic. It has the certification of conformity CE 1328-CPD-0062. The colour runs evenly throughout the pieces so that any scratches or marks go largely un-noticed.